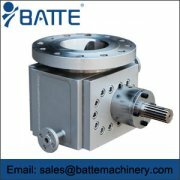 Zhengzhou batte professional melt pump manufacturing company, with many years of melt gear pump processing and production experience, provides professional melt pump equipment including: pipe melt pump, special melt pump for PVC, melt pump for low-viscosity materials, etc., to meet the production requirements in the field of non-use; batte provides high-standard, high-performance melt pump, favored by the market; below Zhengzhou batter specifically introduces the melt for low-viscosity materials. Pump applications and performance advantages. 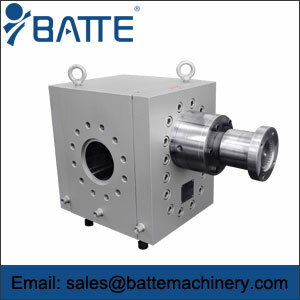 In the field of plastic extrusion, there are a large number of low-viscosity melts that need to be transported by pumps. 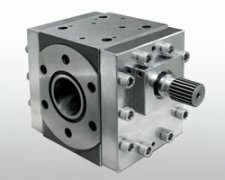 In view of this situation, Haike has developed low-viscosity materials using melt gear pumps to meet the needs of market users. For example, raw liquids, solutions, glues, esters, oligomers, prepolymers and other materials in the chemical industry, such as pharmaceuticals, fuels, oils, dyes, coatings, lubricants and so on. 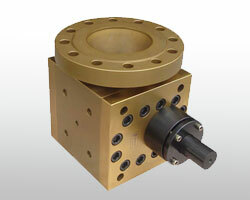 The viscosity of materials transported by low viscosity gear pump ranges from 0.3 mPa. s to 1000 mPa. 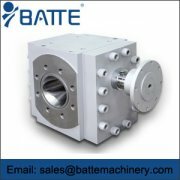 s. The heating mode of low-viscosity melt pump can choose full jacket, electric heating, non-heating and so on according to the nature of conveying materials; the sealing structure of low-viscosity melt pump can choose melt dynamic seal + packing seal, or mechanical seal, or high-temperature packing seal, etc. 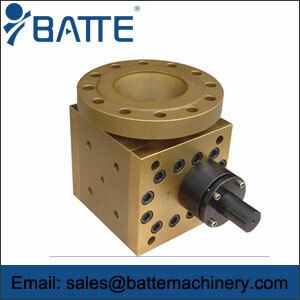 The wear-resistant and corrosive materials such as nitride steel, tool steel, stainless steel, corrosion-resistant alloy are used for its gears and bearings.